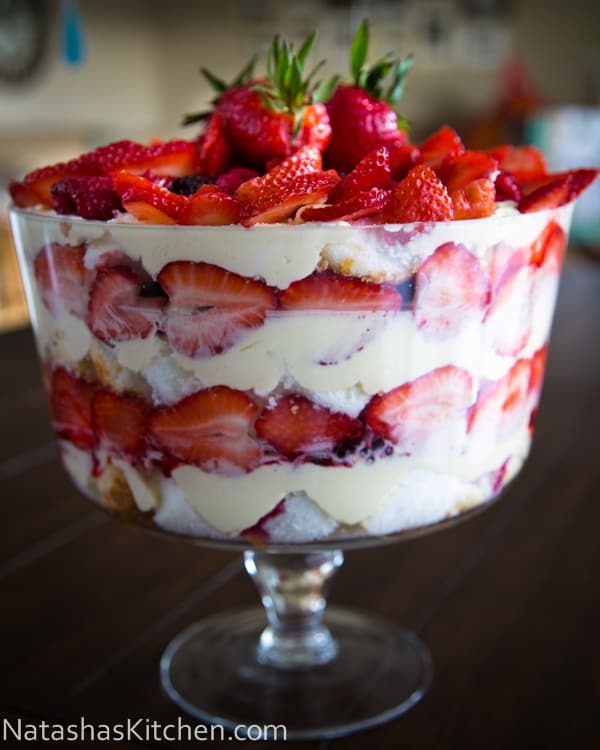 Chop your angel food cake into 1″ cubes and place ⅓ of them into the bottom of your trifle bowl. Add ¼ of your fresh/frozen fruit. I thought it looked pretty to put the strawberries around around on the walls of the bowl, but you can do it any way you want to. Arrange your remaining fruit over the top of your cake (you’ll have the most fruit for the top since you’ll probably want to make it look extra fancy) and brush a thin layer of glaze over the fruit .